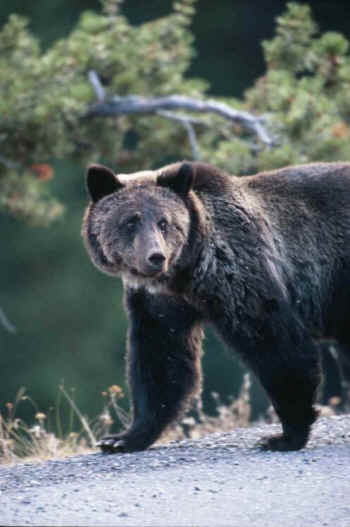 The Park Service and Fish and Wildlife Service have waited years to invite public input on their plan for Cascades grizzlies - so we have to act quickly. Voice your support now for grizzly recovery in the Cascades to keep this project and these bears moving forward. Sign an onlline petition here. The grizzly bears of the Pacific Northwest could soon get some much-needed help from the feds: The National Park Service and Fish and Wildlife Service have declared they'll be teaming up to restore a healthy grizzly population to the North Cascades, bringing in bears from neighboring areas. Now the agencies need to hear from you to know these massive, iconic bears have your full support. The rugged North Cascades mountain range is key to grizzly survival in the lower 48, according to scientists ... but only six bears are currently living there. Since they earned Endangered Species Act protection in 1975, grizzlies have begun to recover - but some populations could still disappear, so they all must be expanded to counter threats like climate change, development and logging.